When Sophica was abruptly separated from her father as a toddler, she found a haven in Grandmother Gitté. But one sunny day in July, when she was six years old, gendarmes marching and shouting in the streets stopped her dreamy childhood and her hopes to go to school and to be a big girl like her sister. She was deported together with her mother and the whole of the Jewish community of Mihaileni, Romania. On foot, through icy fields, they arrived in eastern Ukraine, a strip of land called Transnistria. Death, illness, brutality, shame, became her daily scenes. Sophica suffered hunger and fear but kept her hopes and sanity, albeit losing her sister and her father and witnessing her mother being viciously attacked. She survived Typhus and starvation by being strong and quiet. Herman was a jolly little boy who didn’t care much needing to wear the yellow star and being forbidden from school. He continued playing outside with his friends while his father and brother were sent to a labor camp. At the age of 14, when the Second World War ended, he joined a Jewish youth movement and embarked on a ship to the Promised Land. However, their journey was interrupted and they were taken to a British detention camp in Cyprus. Sophica and Herman were given new names, Shulamit and Tzvi. They met and made a home in Israel. Shulamit/Sophica never mentioned her sad childhood, but the essence of the past found its ways out. Sixty-five years after those events, her daughter comes across a family secret and starts asking questions, inducing Shulamit to break her silence and become again the frightened little Sophica. This book tells her moving childhood story. Avital E. M. Baruch, Shulamit and Tzvi's daughter, was born in 1957 in Haifa, Israel, where she grew up. She studied Mathematics and Education at Haifa University. In the Nineties she moved to England. Avital embarked on the project of this book as a literary memorial to her aunt, her grandfather, and her great-grandmother, who were denied a proper burial. She dedicated six years to the sensitive task of interviewing her mother and other members of the family and to researching the historical background of the Holocaust in Romania, especially the deportations to Transnistria. Avital now lives in London with her husband. They have four grown-up children and five grandchildren. “This is not just another book about the Holocaust or the history of the Jews in Romania, Bessarabia and Bukovina. It is a testimony written by a member of ‘The Second Generation’. This book has a special meaning for me, being part of this generation. My family suffered a similar ordeal, losing some of its members. My aunt and my cousin where killed in a concentration camp in Transnistria and others survived the evacuation to Siberia. Reading it gives not only an insight to what happened during and after the war, but also a voice to those who could not speak before. It reveals the hidden past, filled with pain and sorrow, of an entire generation, as they were reluctant, in many cases, to talk in public about what they went through. Nevertheless, it is also a story of hope and eventual happiness. 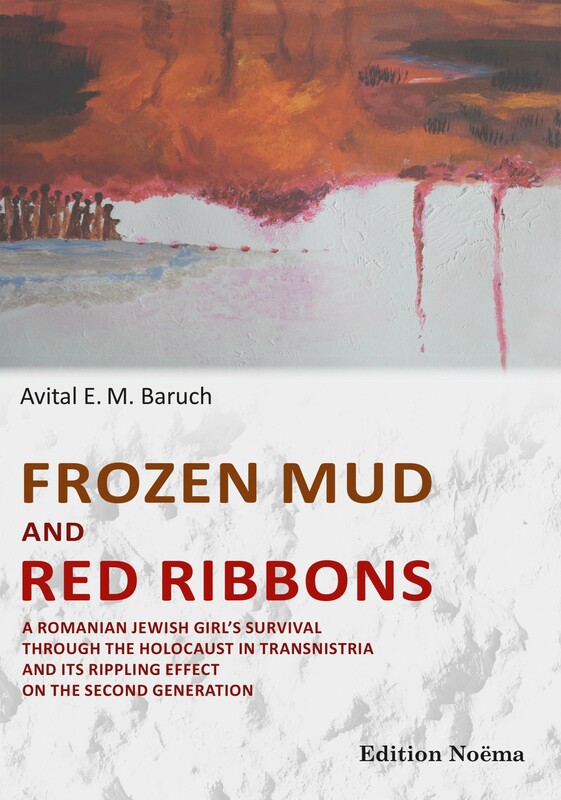 Avital Baruch as the author does a marvellous job in being partly historian and partly a story teller, presenting that part of Jewish history with a clear vision and great personal dedication.